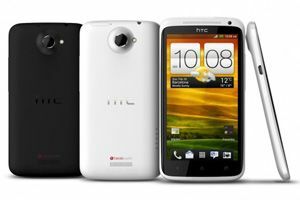 Taiwanese handset manufacturer HTC has confirmed that the HTC One X and One V models will be launched in India on April 2. While the One X will be priced at Rs 36,000, the HTC One V will be available for Rs 18,000. Powered by a 1.5 GHz Nvidia Tegra 3 Quad-Core processor, the HTC One X has HTC Sense 4 UI and Beats audio integration. Its 8 MP camera supports Full HD (1080p) video recording. Other features incluse a 1.3 MP front camera, NFC (Near Field Communication), 1 GB RAM, 32 GB internal memory and 1800 mAh battery.